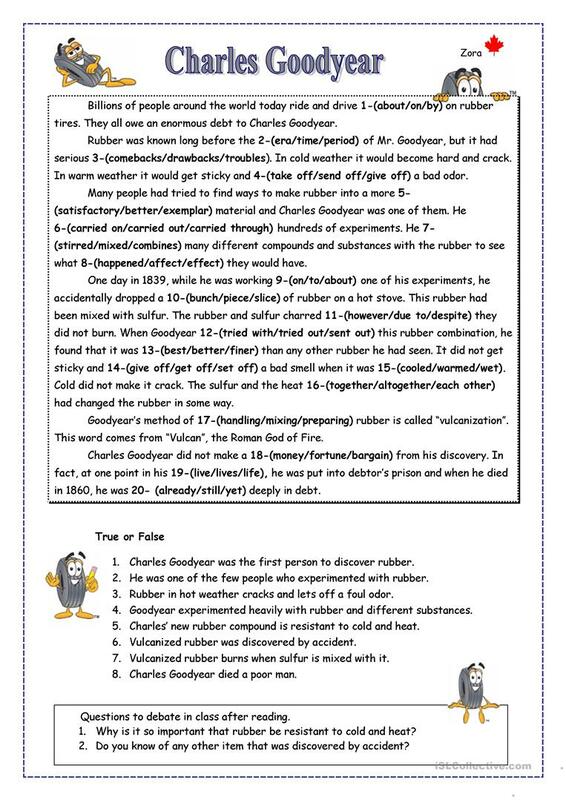 A reading and cloze activity on Charles Goodyear the man who discovered vulcanized rubber. The above downloadable handout is a great resource for business/professional students, high school students and adults at Intermediate (B1), Upper-intermediate (B2) and Advanced (C1) level. 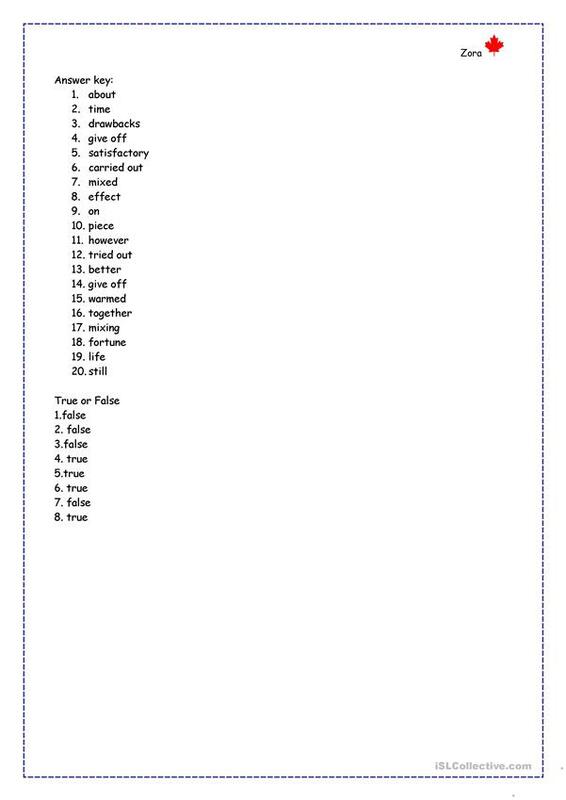 It can be used for working on your groups' Reading and Writing skills. It features the vocabulary topic of Means of transport. The exercises come with the answer key.